Returning to my somewhat sporadic series of posts on spy fiction series (which was interrupted by nearly a week's worth of blogging on Richard Stark's Butcher's Moon), next we have a series by a British author who, despite having penned thirty-three thrillers over thirty-plus years, has slipped quietly into semi-obscurity. 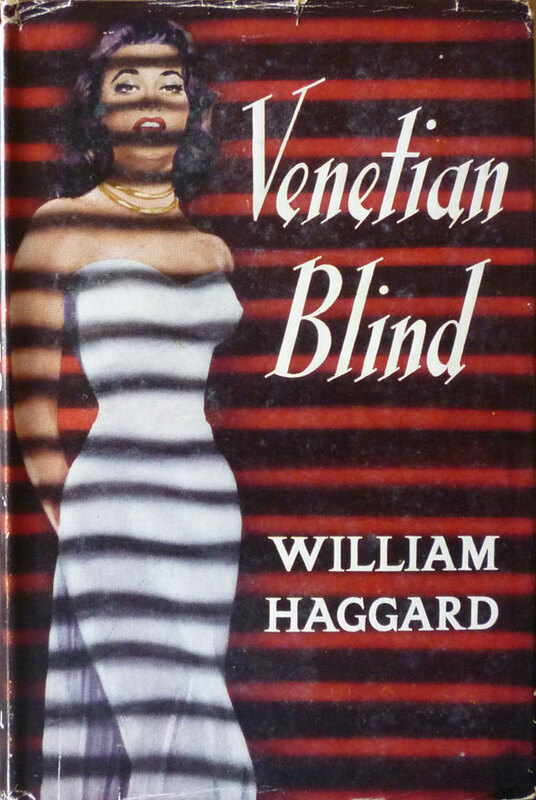 As is the way with a lot of thriller writers, William Haggard – real name Richard Henry Michael Clayton, "Haggard" being his mother's maiden name, not to mention the surname of his fifth cousin, H. Rider Haggard (many thanks to Garen Ewing for those nuggets of info) – came to writing relatively late in life. Born in Croydon (not far from Beckenham, where I grew up) to Henry James and Mabel Sarah Clayton in 1907, Haggard was educated at Lancing College and Christ Church, Oxford, after which he embarked on a career as a civil servant, in the first instance in India, where he eventually became a judge. He served in the Indian Army from 1939 to 1946 – undergoing a course at the Staff College, Quetta – and after the war returned to Britain to join the British Civil Service, taking up a position at the Board of Trade, where he worked until 1969 (for a time as Controller of Enemy Property). 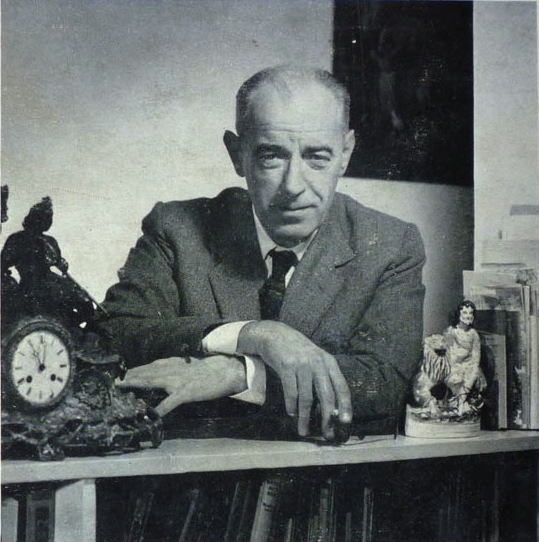 But parallel to his day job Haggard had begun writing fiction; his debut novel, Slow Burner, was published in 1958 when Haggard was fifty-one, and introduced a character who would go on to appear in a further twenty-four adventures: Colonel Charles Russell. Russell is very much a part of the Establishment, and a product of Haggard's own political views, which were firmly to the right of centre; in many ways the series was a precursor to Anthony Price's later David Audley spy novels: both series are set in Whitehall, and are as much political or detective thrillers as they are espionage fiction, although Haggard's books are characterized by an underlying preoccupation with decorum, with the correct way of doing things, whether it be in action or in conversation. Mind you, even compared to the avowedly conservative Price, Haggard was pretty far to the right; as Price himself put it during my interview with the writer in July, "he was more right wing than even me! He made me look like a liberal!" Haggard's own view of his books, which he shared in a letter to Donald McCormick for McCormick's 1977 survey Who's Who in Spy Fiction, was that they were "basically political novels with more action than in the straight novel". Even so, much of the "action" takes place in offices and consists of clever types reasoning out sticky dilemmas (again, see Anthony Price). 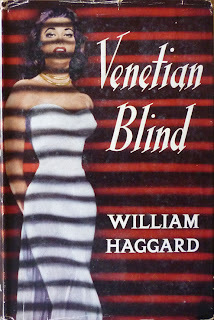 McCormick also notes in Haggard's entry in Who's Who in Spy Fiction that Haggard was "associated with Intelligence work during his career", so it seems that, in common with many spy novelists, Haggard knew of what he "spoke". Haggard came to my attention thanks to Existential Ennui reader Richard, who left a comment on my review of Anthony Price's The Labyrinth Makers directing me to Haggard's work. 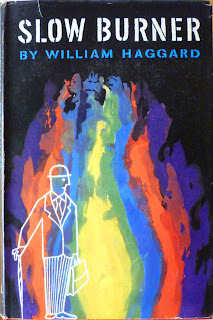 Haggard died in 1993 and all of his books are long out of print (some have become quite scarce in any edition). There's scant information about him online either; the best resource for the Charles Russell series is this dedicated page on the Spy Guys & Gals site, while The Independent has a decent obituary of the author and an additional entry in the paper's Forgotten Authors series. For my part, I have another couple of posts planned on Haggard and Charles Russell: a review of Slow Burner, which will be up next, and a gallery of some of the Haggard/Russell first editions I've found on my travels. Hopefully all three of these posts will go some way towards raising the profile of William Haggard, a fine writer who's long overdue a reappraisal. Hi EE, I'm the chap who did the Klim Forster research some time ago. According to a 1984 Books and Bookmen review, it does indeed feature Colonel Russell. Don't know the month, but it's on page 29 according to Google books. So far as I can tell it also features another Haggard series character: William Wilberforce Smith. No doubt this explains the confusion. "The plot is rather slighter than usual. Colonel Charles Russell (who must surely be getting younger by the book? ), head of the Security Directive till dropped without a consoling K by a Labour PM who couldn't control his Left, is woken from a post-prandial nap in his club library by the sound of Maurice de Gex, former chef de cabinet to de Gaulle, having a post-prandial heart-attack on the next chaise-longue. Suspicion that de Gex may have left Russell privy to certain important information puts him at risk from, of all people, the French and Americans, from both of whom he needs to be rescued by, of all people, the Russians." I now realize I forgot to explain that I was addressing the 1984 novel "The Need to Know." Haha, fear not, faithful researcher: I do that kind of thing all the time. Thank you for the info though! Here's more trivia for you. 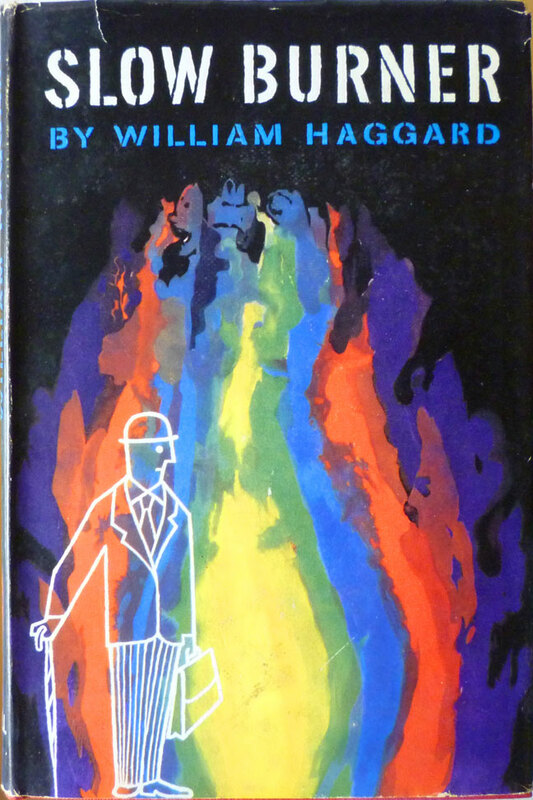 Haggard's 1977 novel "The Poison People" features a chap named Harry Maxim. Not Gavin Lyall's Harry Maxim, of course. Still, an odd and strangely pleasing coincidence. "The death of Harry Maxim, who fell from a fifth-floor apartment, leads Charles Russell into an investigation of an international heroin ring and a parliament member's attempt to avenge his narcotics-addicted son."